1 oz Lotion in Round Bottle. 1 oz Lotion This item requires approved FDA labeling on packaging. Location and content of labels may vary, please call for further information. 1 oz Stress Relief Lotion. 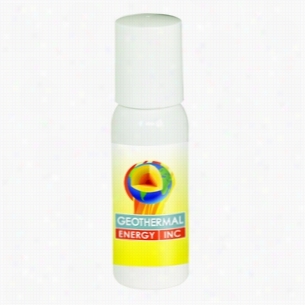 1 oz Stress Relief Lotion This item requires approved FDA labeling on packaging. Location and content of labels may vary, please call for further information. SPF 30 Suntan Lotion & Lip Balm Combo. 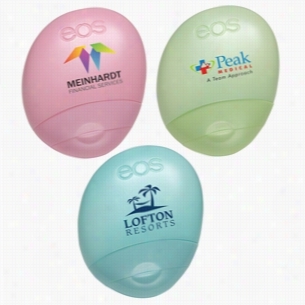 Combines one ounce SPF 30 suntan Lotion with SPF 15 lip balm in seperate compartment. Meets FDA requirements. Includes all appropriate contents information. 2 oz Lotion This item requires approved FDA labeling on packaging. Location and content of labels may vary, please call for further information. 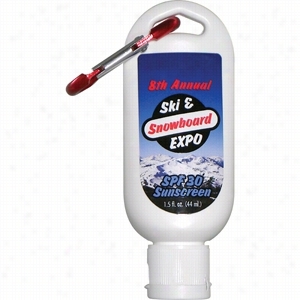 SPF 30 1 oz Sunscreen Lotion. Block out harmful sun rays with this PE White bottle SPF 30 sunscreen. This tropical scented sunblock is FDA approved, PABA & Paraben Free! This product will leave you feeling non-greasy and ready for some sun! Great for any outdoor event such as Golf course, picnic or a day at the beach.Stock Background, CALL FOR DETAILS. 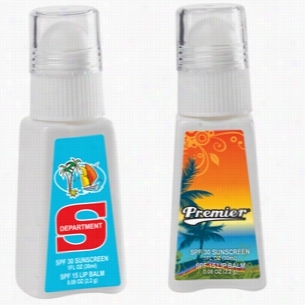 SPF 30 Tottle Bottle Sunscreen Lotion. 1.5 oz, SPF 30 sunscreen protects from harmful UV rays.Tottle bottle conveniently attaches to bags and Belt loops thanks to loophole at top.Features a white, scratch-resistant, waterproof Tuf Glossâ„¢ label that can be customized with a four-color process imprint.Made in USA.Optional mini-metal carabiner sold separately.Material: Plastic.